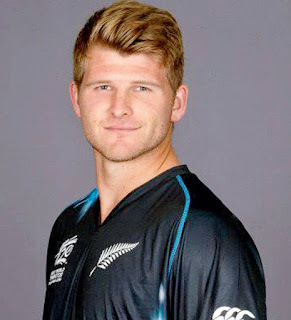 Recently New Zealand Also known as KIWIS announced their 15 men player SQUAD for T20 WC 2016. Their best T20 player Brandon McCullum has already taken retirement from Cricket match before Starting of T20 world cup 2016. 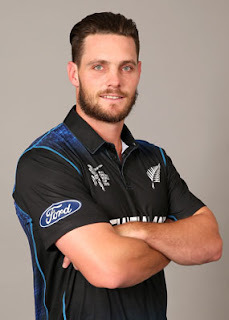 Ken Williamson was replaced on McCullum’s captaincy.For this world cup NZ announced three Spinner which wil show their best performance in Upcoming T20 world cup starting from 8th March and in Top 10 team match . NZ will face India on 15th March 2016. Till Now New Zealand had won all the T20 match against INDIA now lets see what will happen on the upcoming match of IND vs NZ T20 2016. Off-spinner Nathan McCullum, left-armer Mitchell Santner and leggie Ish Sodhi were included int he squad of New Zealand going to Play T20 world cup 2016 hosted by India. Kane Williamson is captain, taking over from Brendon McCullum. 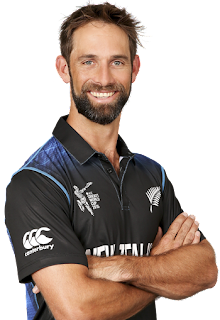 Kane Stuart Williamson is a cricketer who represents New Zealand internationally as a right-handed batsman and occasional off-spinner. In December 2015, he became the number one ranked batsman in Test cricket. Corey James Anderson is a professional cricketer who plays as an all-rounder for the Mumbai Indians in the IPL, Northern Districts in New Zealand first class cricket and New Zealand internationally. 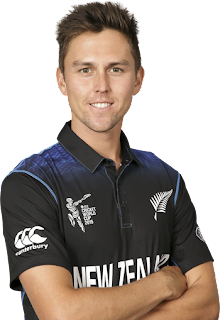 Trent Alexander Boult is a professional cricket player from New Zealand who plays as a bowler and tail end batsman for the Sunrisers Hyderabad in the IPL, Northern Districts in the New Zealand domestic league, and New Zealand internationally. Grant David Elliott is a New Zealand cricketer. He is an all-rounder and plays for the Wellington Firebirds. 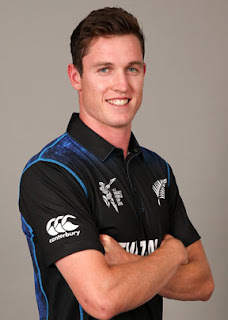 Adam Fraser Milne is a New Zealand cricket player. He is a right-arm fast bowler who bats in the lower order. 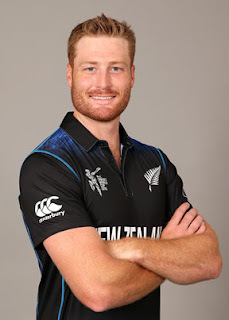 Martin James Guptill is a New Zealand cricketer and plays for the New Zealand national cricket team as an opening batsman. 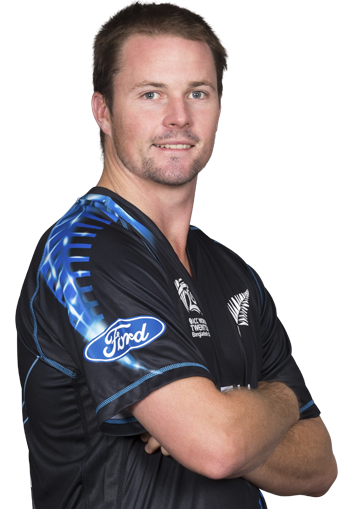 Colin Munro is a cricketer. He was a member of the New Zealand Under 19 side and is currently a member of the Auckland cricket team. As of 2016, he plays for New Zealand in the Twenty20. 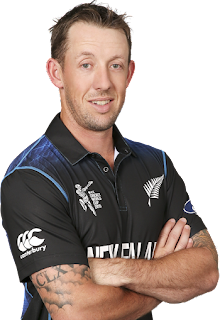 Luke Ronchi is a professional cricketer who plays internationally for the New Zealand national side, having earlier also represented Australia. 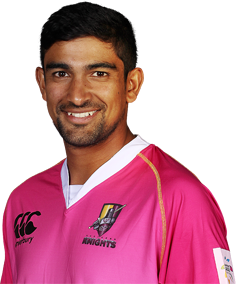 Inderbir Singh Sodhi, known as Ish Sodhi, is a New Zealand cricketer who represents Northern Districts. He bowls right-arm leg spin, and bats right-handed. Sodhi began his career representing Northern Districts in the 2012–13 season. 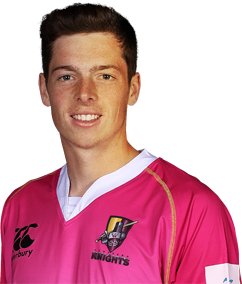 Mitchell Josef Santner is a New Zealand cricketer who plays for Northern Districts cricket team in domestic cricket. He is an all-rounder who bats left-handed, and bowls slow left-arm orthodox. 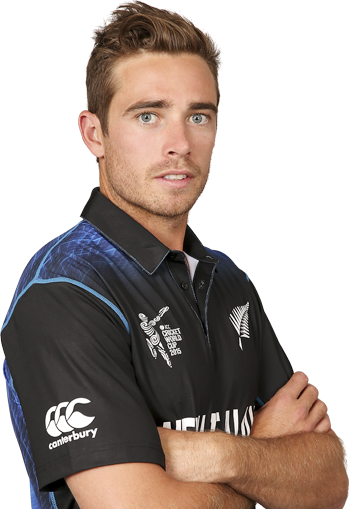 Timothy "Tim" Grant Southee is a New Zealand cricketer. He is a right-arm fast-medium bowler and a hard-hitting lower order batsman. He was one of New Zealand's youngest cricketers, debuting at 19 years old in February 2008. 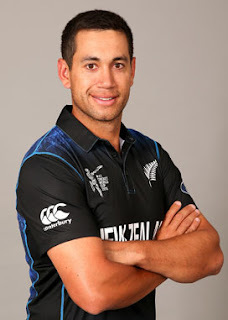 Luteru Ross Poutoa Lote Taylor, more commonly known as Ross Taylor, is a New Zealand cricketer and former national captain. He previously captained the New Zealand Under-19 side in youth internationals. 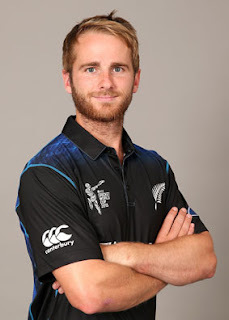 New Zealand squad: Kane Williamson (captain), Corey Anderson, Trent Boult, Grant Elliott, Martin Guptill, Adam Milne, Mitchell McClenaghan, Colin Munro, Nathan McCullum, Henry Nicholls, Luke Ronchi, Mitchell Santner, Ish Sodhi, Tim Southee, Ross Taylor.